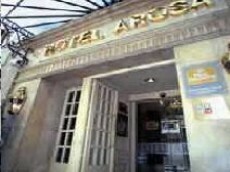 The Hotel Arosa is set next to Gran Vía Avenue, 400 metres from Puerta del Sol and 15 minutes’ walk from the Prado Museum. 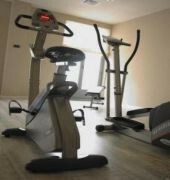 It offers free WiFi in all areas and free gym access. The Arosa’s bedrooms all offer an en suite bathroom and satellite TV. Some rooms have traditional Oriental décor, and many have great views over Gran Vía. Pets are allowed on request. 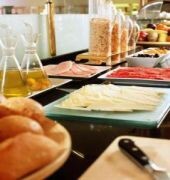 The hotel's café serves freshly prepared tapas, while the buffet breakfast is available until 11:00 each day. The Arosa is located near the Royal Palace. An airport transfer service is offered at an additional cost. 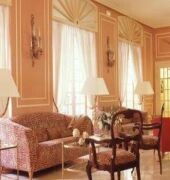 The hotel is a short walk from the Art Triangle, El Retiro Park and Madrid's shopping district.